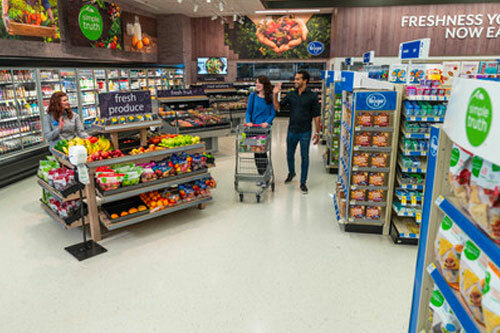 CINCINNATI, OH; CHICAGO, IL; DEERFIELD, IL - Kroger and Walgreens continue to build on the exploratory pilot they announced in early October of this year, combining forces to offer customers a one-stop shop for all things grocery. Its latest initiative, Kroger Express—a curated assortment of 2,300 products—builds on this promise and will soon be offered at the 13 Walgreens test stores in Northern Kentucky. This selection will include Home Chef meal kits, national products, and Kroger’s Our Brands products. It will also include dairy, meat, produce, frozen, and meal solutions. "We are redefining the customer experience in a variety of ways through Restock Kroger, including innovative partnerships like our test-and-learn pilot with Walgreens. We are excited to enter the next phase of the pilot," said Robert Clark, Kroger's Senior Vice President of Merchandising. "The Kroger Express concept creates easy access to our most popular Our Brands products through a fill-in grocery shopping experience for Walgreens customers, and our Home Chef Express meal kits provide customers with an on-demand solution for tonight's dinner." According to a press release, the first concept store is operational in Florence, Kentucky. The remaining 12 pilot stores will be operational early next year. 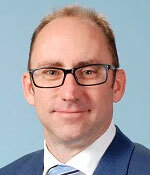 "We're pleased to continue working together to explore new concepts that expand product selection to provide a better shopping experience and greater value for our customers," said Richard Ashworth, Walgreens President of Operations. In addition to expanding this pilot program, Kroger also launched its Home Chef Express meals in 65 Walgreens locations in the Chicago area. Now, these select Walgreens will offer three Home Chef Express meal kit options, with recipes rotating bi-weekly. "Customers have responded favorably to the retail meal kits at our Mariano's stores in the market and other Kroger Family of Stores located in different cities. The Walgreens expansion provides more Chicagoans convenient access to a quick, simple meal," added Clark. 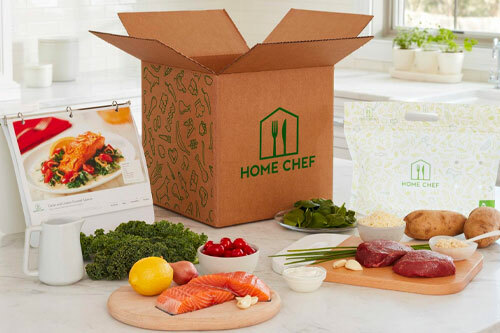 Pat Vihtelic, Home Chef CEO and Founder added, "Making Home Chef Express meals available at Walgreens is another way Home Chef is making meal time easy. The Express recipes, which cook in 15 minutes, are meals anyone can cook and everyone will love." AndNowUKnow will continue to report updates of Kroger and Walgreen’s latest pilot.